During the 2017 Gala weekend the project to return our 15″ gauge Krupps locos to operation was announced. Both Mannertreu and Rosenkavelier were sidelined following boiler problems. To allow for a full assessment of the work required, Mannertreu has been moved from storage and dismantled. The story of the work has been recorded on a blog here. This entry was posted in Mannertreu on 19th August 2017 by Tim Bridge. This year’s gala saw the return to public operation of both our Terrier tank “Martello” and our quarry Hunslet “Gwynedd”. This video by Suffolk Steam captures the railway operations on the first day. This entry was posted in Gwynedd, Martello, News on 30th April 2017 by Tim Bridge. 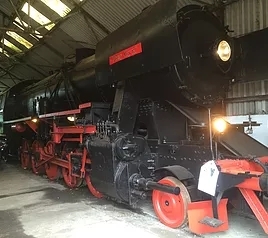 Bressingham’s “Gwynedd” to Return to Steam and Home! This entry was posted in Gwynedd on 28th February 2017 by Tim Bridge. This entry was posted in Back to Nature on 28th February 2017 by Tim Bridge. 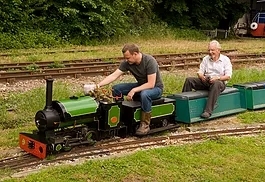 Bressingham Steam Museum, which already contains railways of four different gauges, has recently added to its range with a dual gauge miniature circuit. This entry was posted in Miniature Railway on 28th February 2017 by Tim Bridge. This entry was posted in News on 28th February 2017 by Tim Bridge. Robbie the roller is a Kingsway heated patent roller made by Robey’s of Lincolnshire (patent no 237129/1924). It is a static exhibit at Bressingham. This entry was posted in Robbie on 28th February 2017 by Tim Bridge. Bressingham has recently added to its range of railways with a dual gauge miniature circuit. 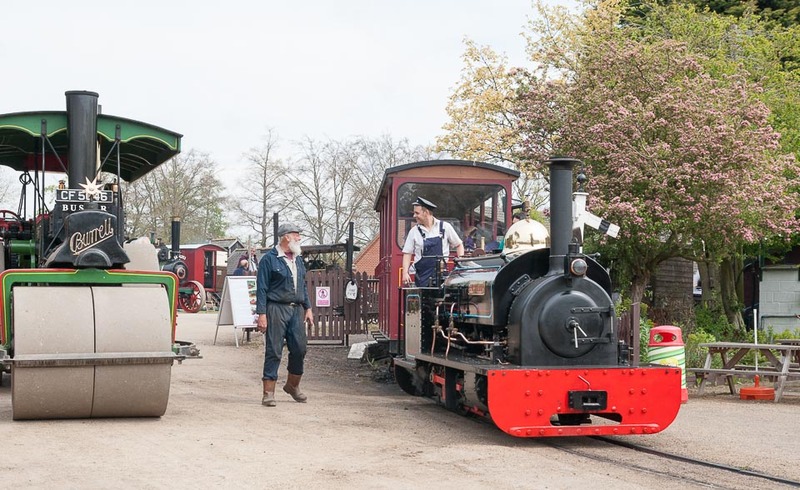 It is a joint venture between Bressingham Steam Museum and Bressingham Steam Society. 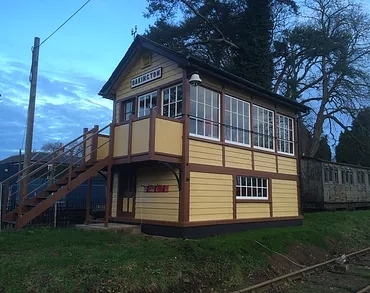 Bressingham’s demonstration signal box (originally from Raydon Wood) has also been receiving some TLC from our volunteers. The interior has been tidied up and a new stove installed. 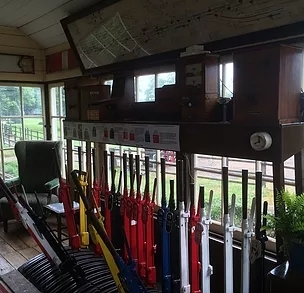 There is now a very good exhibition inside on the principles of train signalling, featuring some authentic block instruments and a working lever frame (not connected) which visitors can pull. The exterior has had the planking on the walls and verandah renewed, repaired and repainted into a smart brown and cream livery. This entry was posted in Signal Box on 28th February 2017 by Tim Bridge.